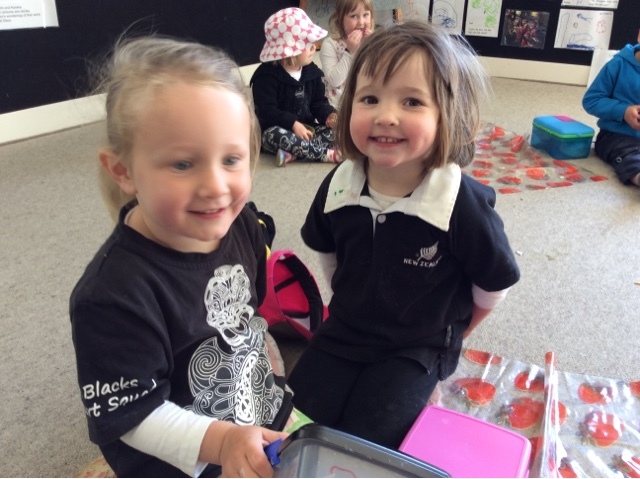 Children at Geraldine Kindergarten have been having conversations and involved in play around rugby ar kindergarten recently. 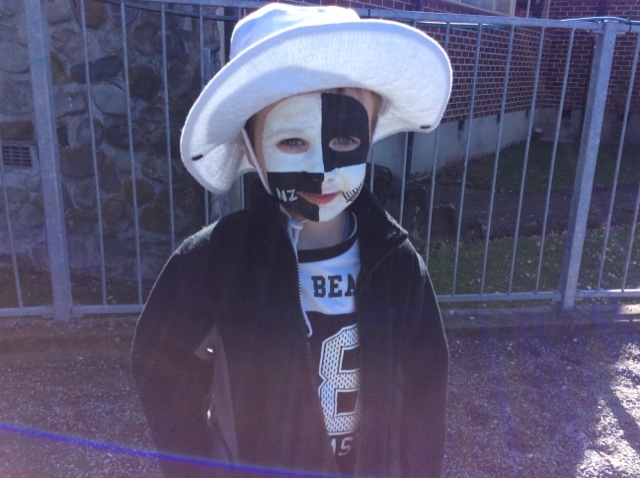 We thought what better way to continue this interest and learning than having a black and white day at kindergarten - and to show our support for the All Blacks of corse! Children came dressed in all types of clothing today, painted faces and hair ribbons were also on display! Everyone enjoyed sharing what they know about rugby, related symbols and creating links as they share stories from home. 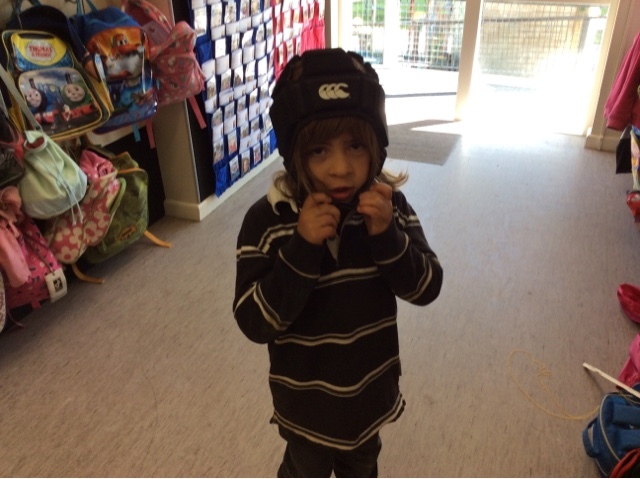 "I get scared because my Dad jumps up and down and shouts" Pippa shared about watching the rugby. Billy shared that they All Blacks "travel around the worls to play differetn matches". 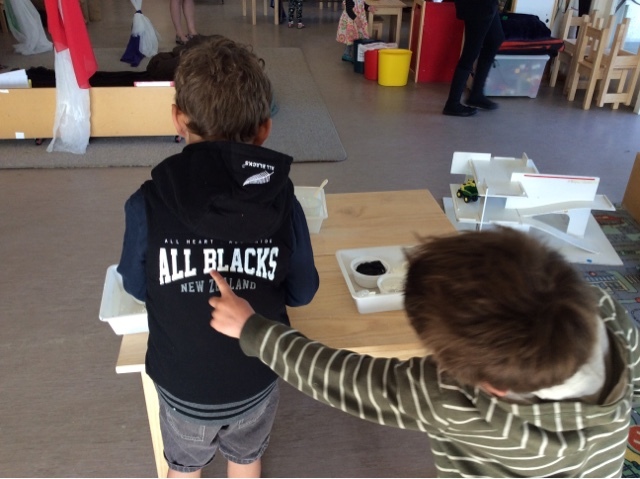 James G was very proud of the jersey he was wearing and shared "this is the All Black crest" while pointing to the silver fern. 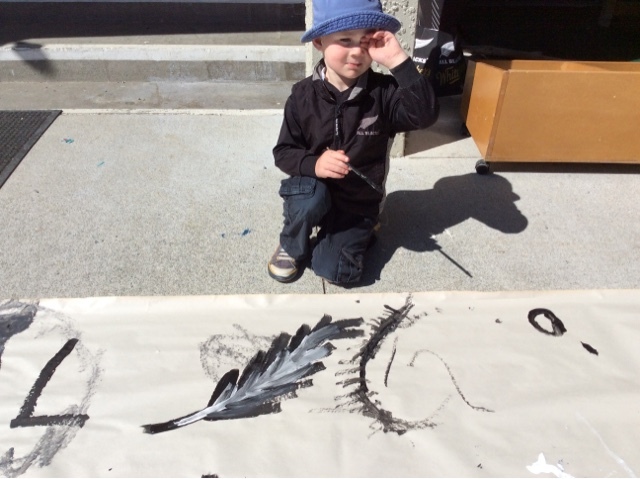 He continued to share his creativity by painting the emblem on a poster that was made this morning to cheer on the All Blacks! This morning a group of children showed an interest in our new Jump Jam routines. A small group of children gathered on the mat watching and listening to the new songs with interest. 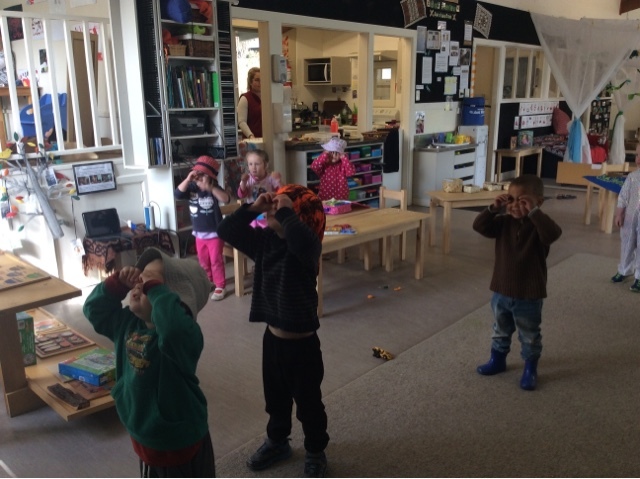 Almost immediately children started moving their hips, bending their knees or moving their body around the mat to the sound of the music. And it wasn't long before they had taken responsible risks by trying out the new dance moves that were showing on the projector screen. Wintrow, Liam and Micah stayed engaged for a long period of time, dancing to one song after another, selecting on the ipad which song they would like to groove to after each song had finished. 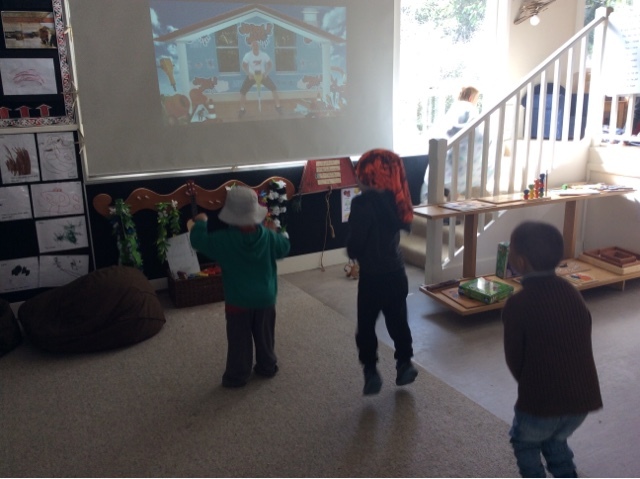 It was clear that the boys were captivated by the music and dance moves that were shared on the projector screen, spending time to try new dance moves and have fun doing so together. 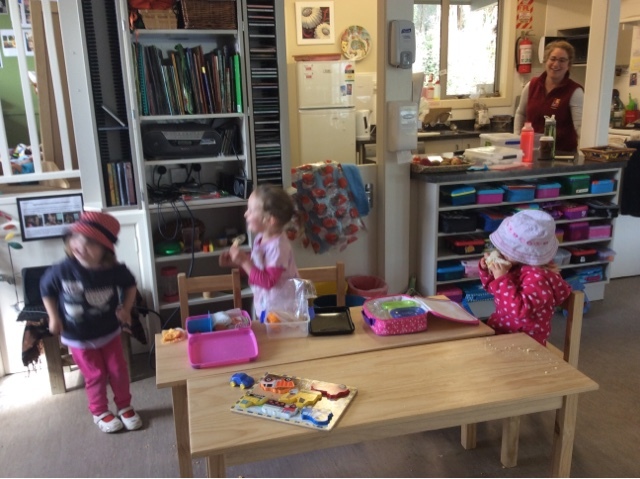 Meanwhile Ruby, Emma and Molly who had been joining in on the dancing fun decided to have morning tea. But the music got the better of them while sitting around the table together, they just had to move in their seats or stand up and try out some of the new moves! 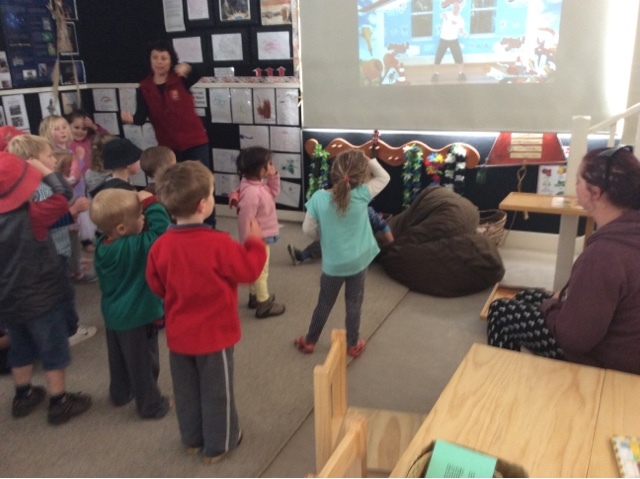 As the week goes on all of the new songs will be introduced to the children at kotahitanga, allowing everyone to take a responsible risk and give them a go! This afternoon, some of our younger children discovered the clay on one of our small tables, "Look grey playdough" one of them commented so I quickly shared that yes it looks a little like playdough but in fact this is CLAY. 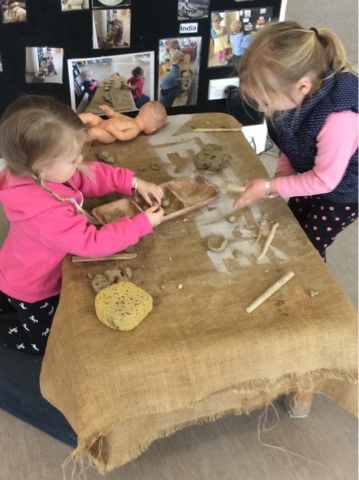 They began taking responsible risks trying out this medium they had not explored before, "Its cold"
"My hands are getting dirty" "Do we cut clay" were some of the comments and questions the children clearly articulated as they manipulated the clay in different ways. 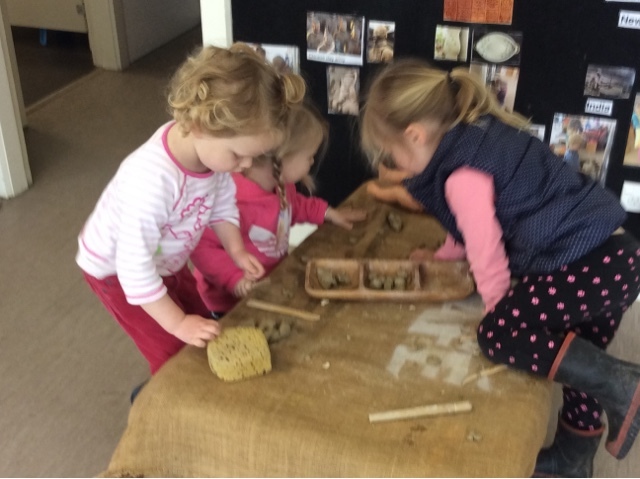 Fine motor skills were used as we pushed, pulled, rolled and cut the clay into different shapes and sizes. 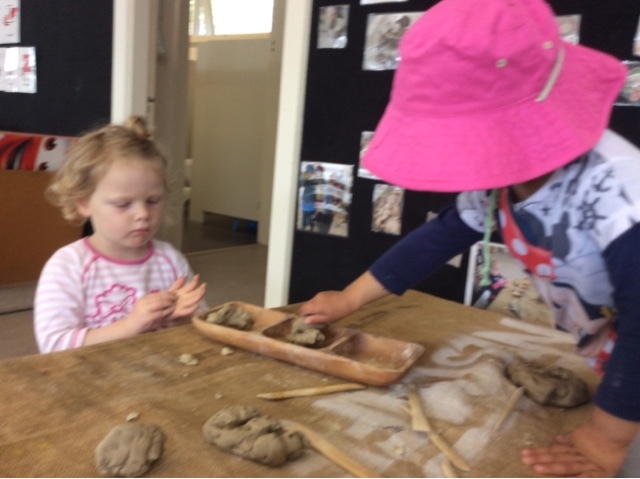 The children all showed fantastic Manaakitanga/ care and respect as they shared the clay with their friends. He rawe tēnā! This is great! Water play on a hot day. 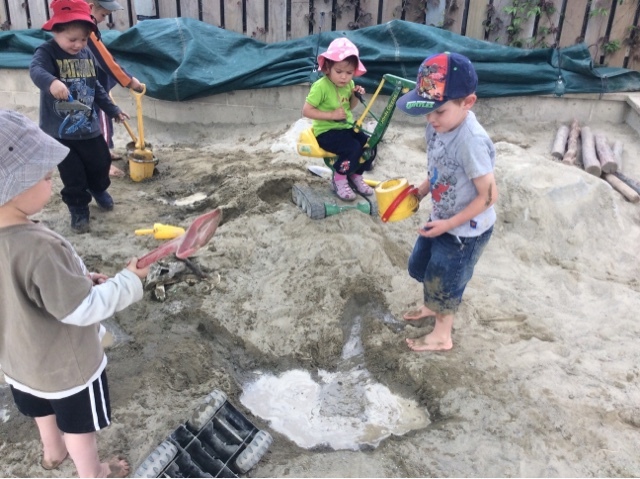 Today when we arrived at kindergarten the sun was shinning so we decided to to put the water trough out and also a trough of water beside the sandpit. It was exciting to see the water being used in such different ways. 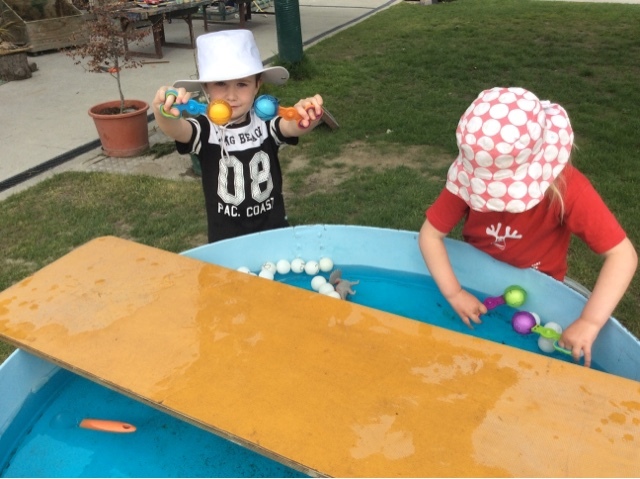 In the water trough the children used their fine motor skills to persevere and catch ping pong balls in the special scissor sets. 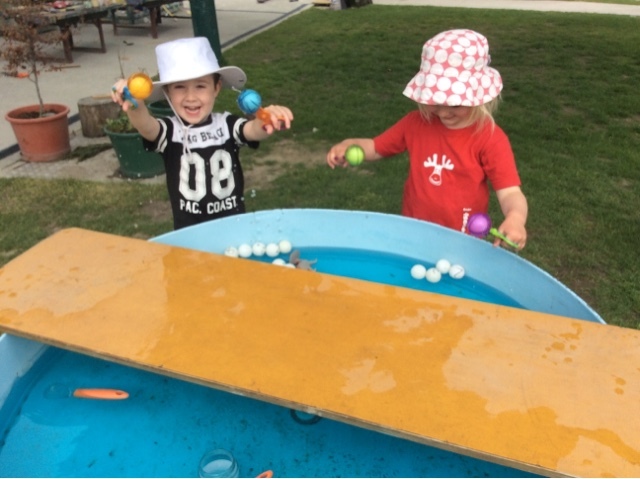 this was a difficult activity to master for some as the ping pong balls floated away in the water. 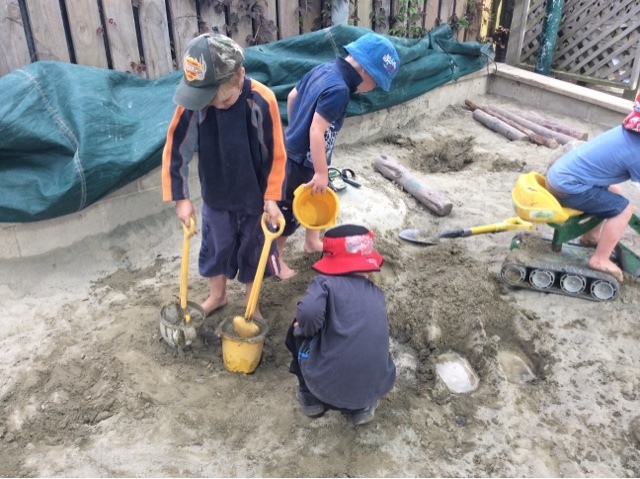 When they began exploring water in the sandpit they had to use their large motor skill, digging big holes to make puddles and lakes, exploring the different ideas of how to get water from one hole to the next "its like a river" one of the children excitedly said as his water overflowed from one to the other. I like that, he pai tena ki ahau. This morning we were lucky enough to have been given an old DVD player. 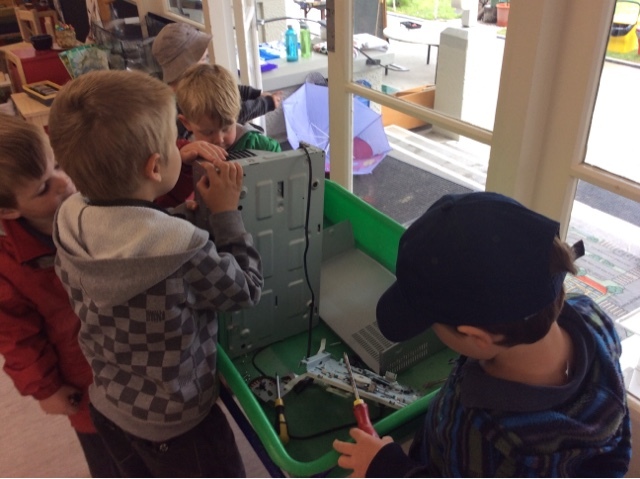 A group of children spent quite some time around the DVD player using different tools to move the various parts, pull on tapes and unscrew screws all inside the player. 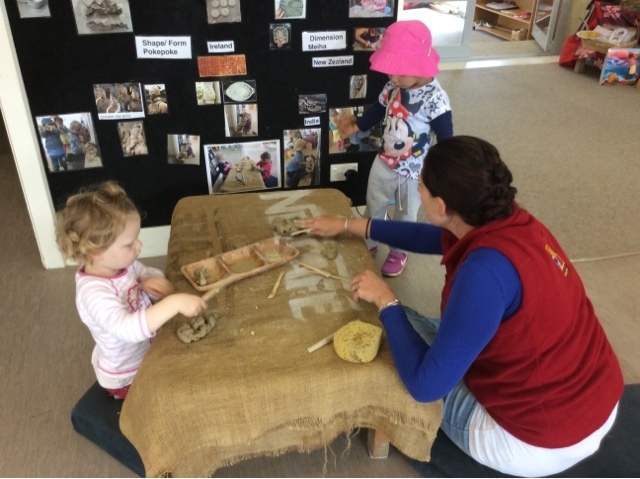 This real play supported children's fine motor skills as they pulled, twisted and pushed on the small parts of the player. The small group worked closely alongside each other sharing the tools and communicating amongst themselves which tools would be best for the different sized screws. Perseverence was key as they placed the screw drivers into the screws and turned in different directions to try and take them out. Kua mahi pai koe - you have worked hard! 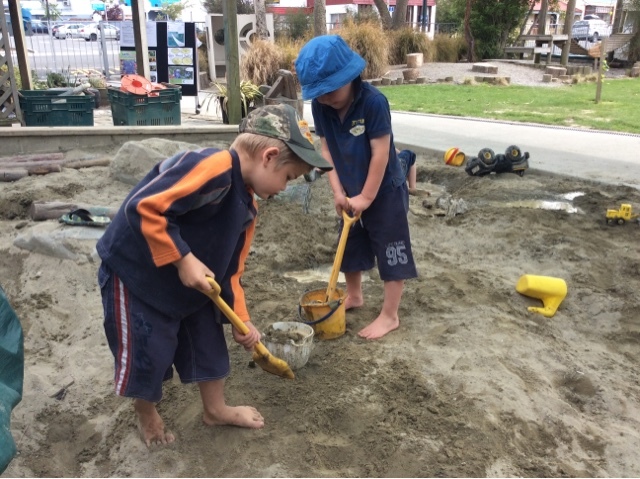 There was a lot of mahi tahi/team work as they helped each other out, giving suggestions as to where they could pull a part from or fit the screw driver into. 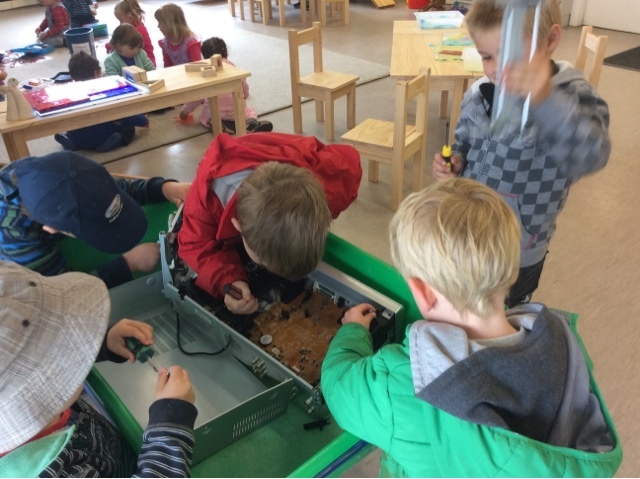 The children were very engaged in their play, staying involved for a long period of time investigating and problem solving together as they found out more and more about the different parts of the DVD player.